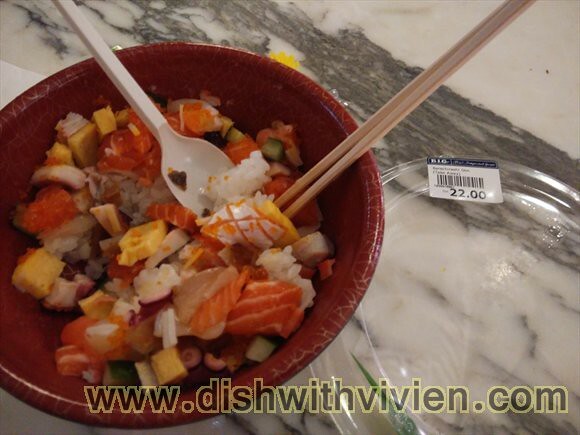 my half eaten Bara chirashi don – diced seafood on top of rice, i bought the takeaway one at RM22, and have it dined in. Or you can opt for the dine in version, serve in “real” bowl + a hot miso soup for RM24. 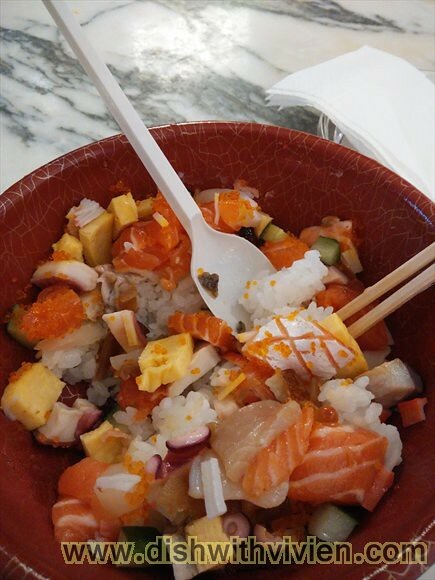 Yummmm, really good, and considered cheap for such generous toppings, lots of sashimi etc pieces and enough rice. Overall, i think this place is worth a revisit, delicious and good hearty portion.